As the pace of change continues to accelerate in the financial services industry, many organisations are realising the need for more than a traditional accounting system. Bringing a comprehensive 'end-to-end' financial system opens up a whole world of new capabilities allowing you to manage your business centrally from front to back. Our software are end-to-end enterprise management solutions built within Microsoft Dynamics 365 Business Central. 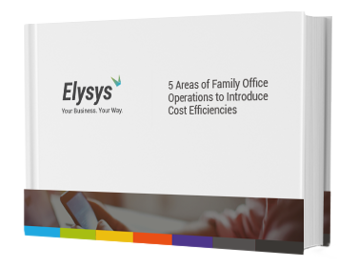 The Elysys software series has been created to enable our key verticals to be more productive, have greater control over operations and reduce administrative costs. Will Elysys Work For Me? We would love to talk to you about how Elysys could empower your Financial services Management. Why not schedule a demo now.